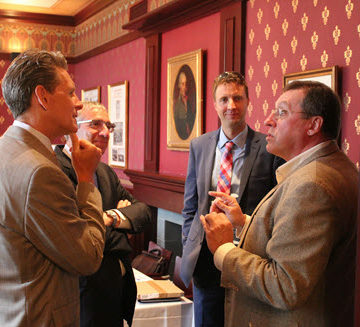 From left, Greg Sauter of Smart City Works, Nick DeNichilo of Mott MacDonald, Jason Magalen of HDR, and Jerry Buckwalter of Northrop Grumman talk during one of the 2016 Innovation Contest events. 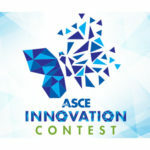 It might sound trite to say the ASCE Innovation Contest is back, and it’s bigger and better. But it’s true – the ASCE Innovation Contest is back, and it is bigger and better. Fresh off the resounding success of the inaugural ASCE Innovation Contest, the second annual contest opened Sept. 1. This year’s edition includes more time for innovators to submit their entry – a full six months – and features a new category – Next-Generation Transportation. There also will be special consideration, when the judging process begins next spring, for submittals that present solutions involving the removal of lead from water. ASCE’s Industry Leaders Council developed the Innovation Contest as part of the ASCE Grand Challenge to significantly enhance the life-cycle performance of infrastructure by 2025. The contest aims to identify innovative ideas from civil engineers across the board, including students, educators, practitioners, and project managers, and showcase them to draw interest so that they might help transform the future of infrastructure. The initial ASCE Innovation Contest drew entries from around the world. A panel of 22 professionals selected 15 winners. The top honor, the Greatest Impact on Achieving the Grand Challenge Award, went to Jason Magalen, P.E., M.ASCE, an engineer for HDR in Portland, OR, who proposed ways to use unmanned drones to help make coastlines more resilient. 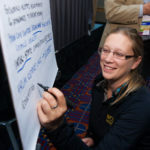 The contest gives winners the opportunity to present their ideas to industry leaders. 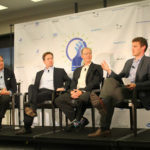 Last year, winners showcased their ideas before representatives from KCI Technologies, Pennoni Associates, Mott MacDonald, Rutgers University, the New Jersey Institute of Technology, Smart City Works, and Walt Disney Imagineering. The 2017 contest has five categories – innovative business models and technologies, the internet of things, sustainable engineering, resilience, and next-generation transportation.